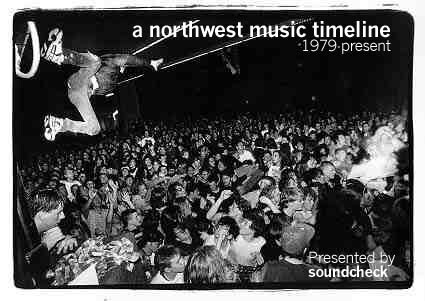 The northwest music scene has a vast history. From the Sonics, the Ventures, and the Wailers to Jimi Hendrix and Heart, the northwest has had a number of great musicians even before the advent of "grunge". While the earlier chapters of northwest rock were very important and influential, for practical reasons, this timeline will focus on the music from the latter portion of the 20th century, from 1979 on. Listed are some of the more important events that happened during this period. This is a work in progress! Send additions and corrections to: cycletheory@hotmail.com. Enjoy.